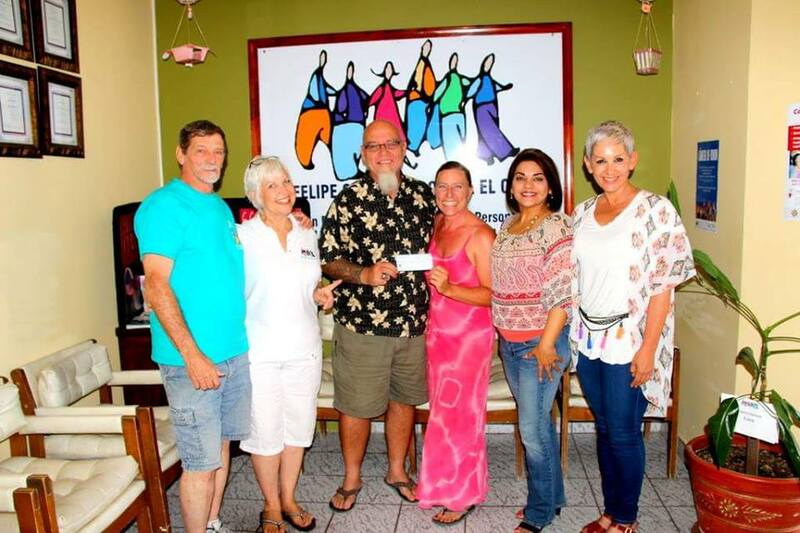 April 6, 2016 The Baja Walk 100 team made the final donation to the San Felipe Cancer Society. 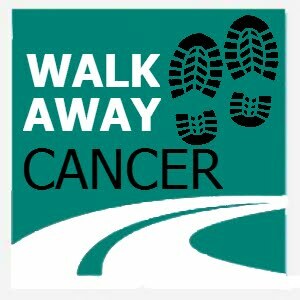 The Baja Cancer Walk 100 has been in the works for 2 years, We did it! 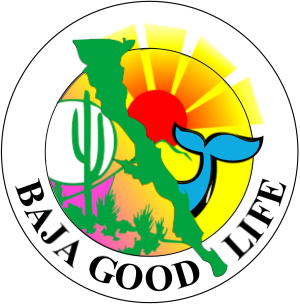 John and Rachel Pack would like to thank all the Baja Walkers, Volunteers (THANK YOU), Carol Bro, Tom Azbell, Vicki Kahn, Elias of the Mountain Ranch, Moses and Karla Perez, and Linda Garcia for making it possible. We are ready for next year. Date is set March 6-10, 2017 for 2017 Baja Walk 100. Photo by Victor Rodriguez Ratliff. 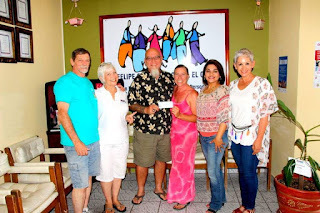 In photo - Bob and Michelle McDonald, John and Rachel Pack, Karla Perez, and Linda Garcia.